£50 off a Selection of Eglus! We are having a clear out! This week we are selling a handful of chicken and rabbit Eglus at a great price! These Eglus have a different finish to our usual products, with a shiny effect. They have some surface marks and minor scratches too, but they are brand new and in overall great condition. Each Eglu comes with a 2m run, shade and feeder and drinker too, so you’ll have everything you need to get you started with keeping chickens or rabbits! 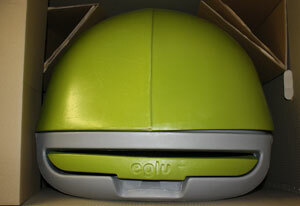 All the Eglus on offer are selling for just £365 saving you £50! There are a range of colours available so you might just be lucky enough to grab that colourful coop you’ve always dreamed off, at a bargain price! These won’t hang around for long so click here to buy yours now!! P.S. You might have spotted some blue Eglus in the picture – although this is a discontinued colour we do have a few blue rabbit Eglus available! This could be your chance to get your hands on a much sought after classic! 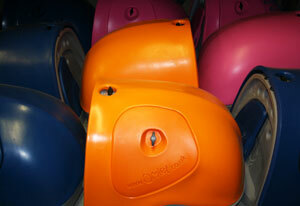 Save £50 off a range of grade B Eglus! Brand new Eglus with a shiny surface!